Blend all ingredients in a food processor until it reaches a consistency similar to brownie batter. Pour into a greased baking pan and bake at 180° (350°F) for 15 minutes. Not sure if these brownies are done? Check them just like you would regular brownies and pull them out when a toothpick inserted in the centre comes out clean. 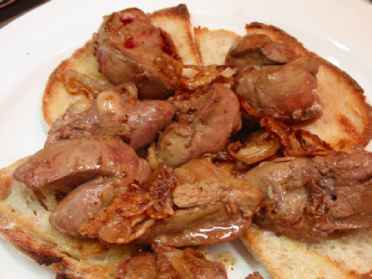 Chicken livers have a rich, full flavour your dog will drool over.